440 p., 17,7 x 21,6 cm. Subsequent to Leibniz’s »philosophia perennis,« Heintel poses the question raised in transcendental philosophy pertaining to the possibility of theology. These two volumes also contain his work on ›Hegel und die analogia entis‹ (1958) and pertinent essays. He also deals with the Aristotelian tradition, in particular Thomas Aquinas and fundamental problems in the transition from the Middle Ages to the modern era. The present day situation is also dealt with in detail. 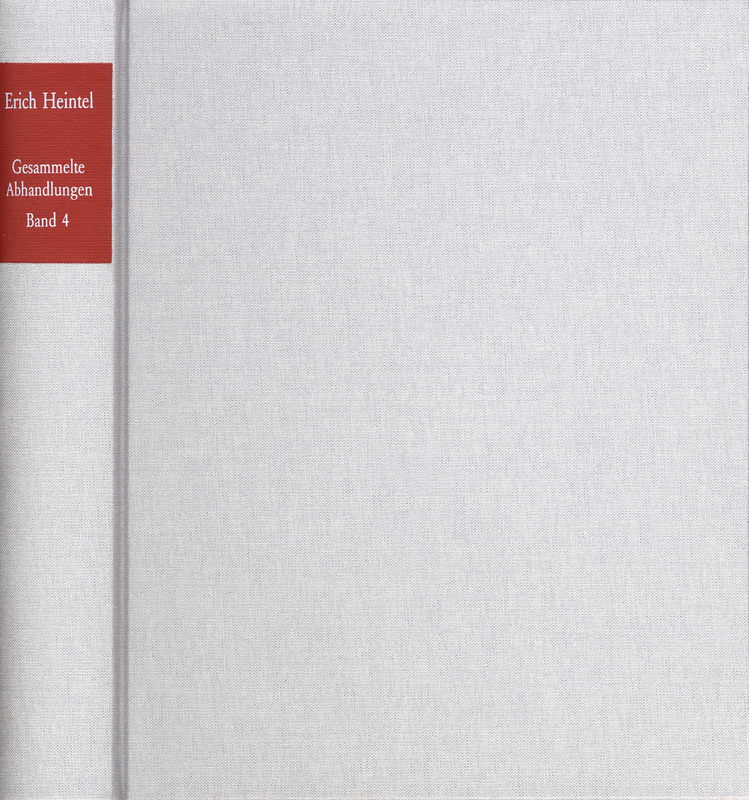 Of particular interest is the monograph ›Das Totalexperiment des Glaubens. Zur Theologie Ferdinand Ebners‹ (The Total Experiment of Faith. The Theology of Ferdinand Ebner) (1982).